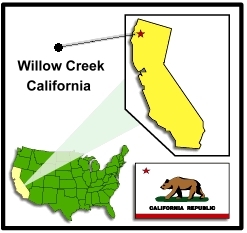 Willow Creek is a small community nestled in the lush, mountainous northwest corner of California. 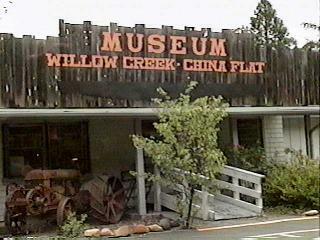 The Willow Creek - China Flat Museum maintains an interesting collection of historical artifacts from this community and surrounding areas. 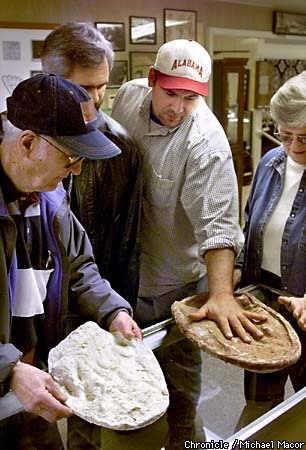 In late 1998 the museum added a new wing to house the collection of bigfoot/sasquatch research material donated by the estate of the late Bob Titmus. 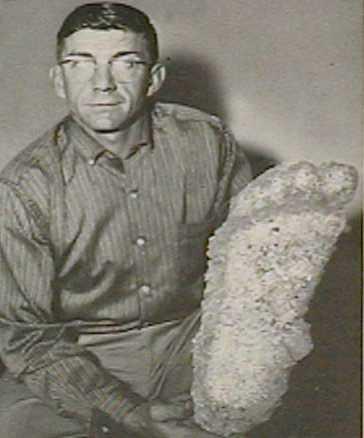 Bob Titmus began his lifelong inquiry into the bigfoot mystery in late 1958. Through his taxidermy shop in Anderson, California, he had heard the stories of giant manlike tracks occasionally found in remote sections of northern California and other areas of the Pacific Northwest. Titmus was skeptical about these stories until his good friend, Jerry Crew, approached him in August of 1958 asking for advice about preserving some odd animal tracks found around his work site. Crew, a logging road tractor operator, told Titmus how these large tracks were found every so often by construction workers returning to a work site deep in the Six Rivers National Forest. The enormous manlike tracks matched the general description of tracks found in other remote areas -- tracks that local native American tribes attributed to the legendary, shy, hairy giants that were occasionally seen and heard in the steep, misty mountain rainforests of the Six Rivers region (California rainfall map). Titmus gave Crew some plaster and instructions for making casts of the tracks. It wasn't long before Crew returned with an enormous track cast (see photo on left of Jerry Crew holding the first cast), the likes of which had never before been seen by the general public. The press dubbed the animal "Bigfoot." The track cast convinced Titmus to look into the situation himself. In early November 1958, Titmus and friend Ed Patrick from Hoopa, CA, discovered and cast a different set of large manlike tracks in the remote canyon of Bluff Creek, 20 miles northeast of the town of Willow Creek. This event set in motion the modern inquiry that we now call bigfoot research. In 1959 Titmus led an expedition into the Six Rivers back country financed by San Antonio oilman Tom Slick. With Slick's backing Bob moved the search to British Columbia in the early 1960's where he took up permanent residence. A second expedition in British Columbia was launched by Titmus, John Green and Tom Slick. Titmus frequently returned to northern California to follow up on bigfoot sighting reports and track finds. In 1963 he cast tracks in the area of Hyampom, California. 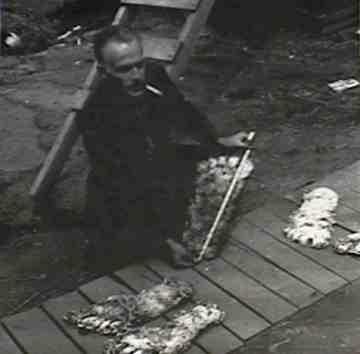 In 1967 he investigated the Bluff Creek site where Roger Patterson obtained his famous footage. Titmus located the Patterson film site soon after the incident and cast ten tracks in the sand bars of the creek bed. The tracks convinced Titmus that the film was genuine. Over the next 20 years Titmus' bigfoot research, hunting and animal tracking ventures took him to some of the most remote corners of the Pacific Northwest. While looking around a small pond on Onion Mountain (a peak overlooking Bluff Creek) in 1982, Titmus noticed a set of tracks in the mud at the edge of the pond, just below the surface of the water. There was also a rare bigfoot handprint. Partially draining the pond allowed Titmus to make casts of these tracks and the hand print. On July 1, 1997, Bob Titmus passed away near his home in British Columbia. He was 78. 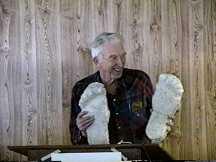 His collection of bigfoot research material, including his casts and notes, photos and other material collected over a 40 year span, was donated to the Willow Creek - China Flat Museum. On May 4, 1998, author and long-time Titmus friend John Green (see photo below) spoke at a press conference in Willow Creek announcing the addition of the new wing of the museum to house the Titmus Collection. "Now all of us who’ve been in this from the beginning are getting old. It was 40 years ago when all this started. There’s never been any place where we felt happy that when we’re gone that our material can go to this museum or university or whatever – where it would be treated properly – no such place has existed. So I got hold of Al [Hodgson] and suggested that there should be such a place, and that Willow Creek was the logical place for it to be. So Al got busy, and Willow Creek took us up on it. They’ve gone ahead to the point where we felt it was well worthwhile to bring Bob’s stuff down here. The lady that owns the collection is sitting at the back and doesn’t want to say anything, but it’s not me that’s giving it to the museum, it’s the lady that inherited everything from Bob. We brought the whole collection down here yesterday. If things go the way we hope, then other people like myself and Grover Krantz and so on who have material will have a place for it to come when we are gone." From Southern California: Drive north on Interstate 5, past Sacramento to Redding. In Redding connect to Route 299 westbound toward the coast. 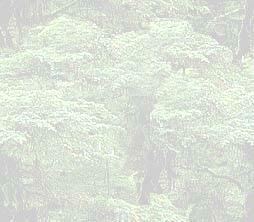 Willow Creek is near the intersection of Route 299 and Route 96 in Humboldt County. From the Sacramento area: Drive north on Interstate 5, past Sacramento to Redding. In Redding connect to Route 299 westbound toward the coast. Willow Creek is near the intersection of Route 299 and Route 96 in Humboldt County. From the San Francisco area: Drive north on Highway 101 past Eureka. In Arcata connect to Route 299 eastbound toward Redding. Willow Creek is near the intersection of Route 299 and Route 96. From Portland area: Drive south on Interstate 5 past Roseburg, and connect to Route 199 westbound toward Crescent City, California. In Crescent City take Highway 101 south to Arcata. In Arcata connect to Route 299 eastbound toward Redding. Willow Creek is near the intersection of Route 299 and Route 96. The rim of Bluff Creek Canyon to Onion Mt. (approx. 50 round trip; road is paved or graded with only one rough section, 100 feet long). Open Wed-Sun, 10 a.m. to 4 p.m. There is ample free parking in a lot bordering Route 299, near the entrance to the museum.